What is the Clash of the Hatch Food Truck Contest? In 2017, 505 Southwestern® set out to prove that its Hatch Valley green chile really does make anything taste better. 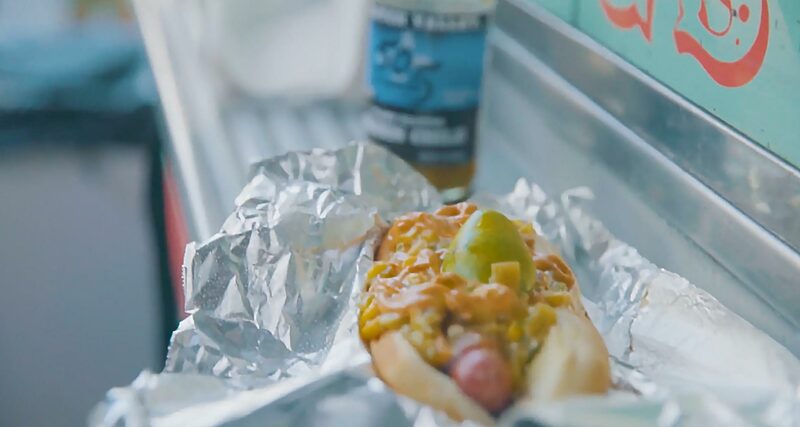 With this in mind, the "Clash of the Hatch" contest was born: ten of LA’s most innovative food trucks competed to develop a unique entrée inspired by the bold, authentic flavor of their fire-roasted Hatch Valley green chile. Curated by celebrity Chef Eric Greenspan, this innovative, chef-driven food challenge led to the creation of the 505 Southwestern® Hatch Valley Burger & Fry Sauce by "Clash of the Hatch" winner, Baby’s Badass Burgers (BBB). Known to BBB’s customers as "Love Child Hatch Chile Sauce" on the BBB menu, its popularity soared, and Baby’s Badass Burgers won with an overwhelming number of contest votes. In 2018, Flagship has partnered with the New Mexico True program and is taking the contest nationwide. Four cities across the US have been selected to participate: Phoenix, Denver, Dallas and Austin. Food trucks will compete in each city and each city will be designated one month to compete for a regional prize of $2500. Each city-winner will be invited to a Grand Finale competition in Santa Fe, NM on October 20, 2018, where a national winner will be determined and awarded an immediate grand prize of $10,000.00 as well as the opportunity to convert its winning recipe into a 505 Southwestern® co-branded retail item. With the successful launch of the retail item, the national winner will receive 1% of the net revenue, up to a maximum grand total of $50,000. For more information and updates please visit www.505clashofthehatch.com and follow on Facebook @505chile, Twitter @505southwestern and Instagram @505southwestern.